Librarians have their knickers in a twist over the latest "screed" from Michael Gorman whose commentary "Revenge of the Blog People!" slams bloggers. The listservs are alternately outraged and defensive of Gorman. He is lucky in his friends. 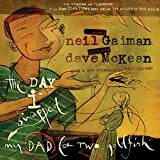 Gaiman is an original voice in the publishing world. 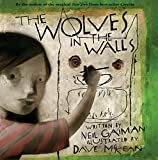 His "children's" books include The Day I Swapped My Dad for Two Goldfish, Wolves in the Walls and the very...uh...interesting/creepy...Coraline.